PGIMER July Session 2019 Application Form can be filled till 30th April 2019 for DM/M.CH & DM. 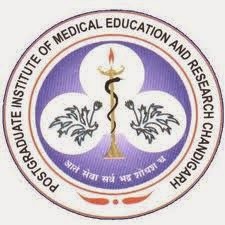 This exam is offered by the Postgraduate Institute of Medical Education & Research (PGIMER), Chandigarh. PGIMER July Session 2019 Admit Card will be Available Soon for MD/ MS. PGIMER entrance exam is conducted by university two times a year, i.e. January & July Session. Candidates will be allotted seat to these courses on the basis of all India merit. In this article, candidates will get details of PGIMER 2019 exam including the Application Form, Exam Dates, Eligibility Criteria, Exam Pattern, Admit Cards and Syllabus Etc. PGIMER 2019 Notification – Application Form filled till 30th April (DM/M.CH & DM). PGIMER July Session 2019 Application Form can be filled till 30th April 2019 for DM/M.CH & DM. Click Here to Check Application Details. 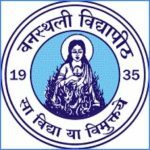 PGIMER July Session 2019 Admit Card will be Available Soon for MD/ MS. Click Here to Check Admit Card Details. PGIMER July Session 2019 Exam Date has been Announced. Click Here to Check Exam Date Details. Scheduled is given below of PGIMER 2019 exam. Candidates should know all PGIMER 2019 Exam Dates so they wouldn’t miss any events. Events are given they are Admission Notice Released, Online Registration Starts, Admit Card Release and Date of Exam, etc. The PGIMER 2019 Application Form has been Released on 18th March 2019 (for MD/MS Courses for July Session) and the Last Date for Applications Submission & Generation of Challan forms/payment from i-collect is 18th April 2019. PGIMER 2019 exam application form will be available only through online mode from the website. No other offline mode application form is made available to apply for these courses. 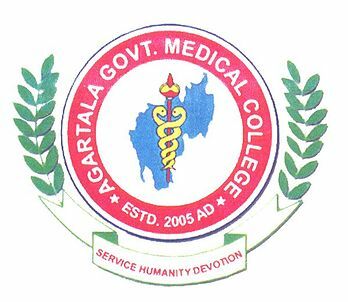 PGIMER 2019 (DM/MCH/MD Courses for July Session) Online Application Form has been Released on 1st April 2019 and the Last date of submission is 30th April 2019. Candidates have to upload their scanned photographing a JPEG format. Size of the image should not exceed 50 KB. Candidates should keep the print copy of the filled application for further process. Candidates who are from the Foreign National MUST write three choices of subjects on the printed application form. Candidate shaves to pay application fees as per courses wise. Keep copies of the filled application form for further use. General/OBC candidates: Rs.1000/- + Applicable Bank Charges. SC / ST candidates: Rs.800/- + Applicable Bank Charges. 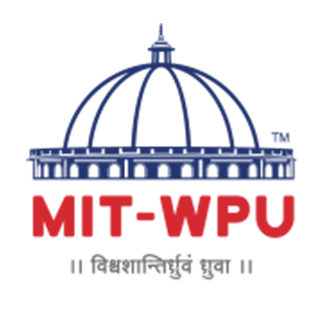 PwD candidates, those apply for the DM/MCH/MD course, they are exempted from the application fee. The application fee will be Rs. 1000 (For DM/M.Ch courses). The fee payment can be done in offline mode (Challan). The Challan form will be required to be filled up in the name of Director, PGIMER, Chandigarh (Examination). Candidates before applying should check full eligibility criteria of PGIMER 2019 Entrance Exam. If candidates fail to know this will affect them in the admission process. Different courses have different criteria, so vindicates have to check full criteria according to courses selected by candidates. 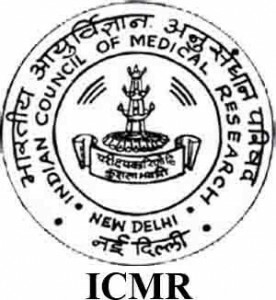 Qualifying Exam: Must pass the MBBS examination from the MCI recognized University/Institution. Internship: Candidates should complete on year rotator internship training on or before 31st December 2018 (January session)/31st June 2019 (July session). Candidates should register with the Central /State Medical Registration Council. Qualifying Exam: Candidates must pass DM/MCH/MD or its equivalent examination from the MCI recognized university. Candidates must register with the Central /State Medical Registration Council. Age Limit: The age limits of different category candidates are given below. Candidates should complete the given age on/before 31st December 2018 (Jan session) & 30th June 2019 (July session). Candidates should know the exam pattern and syllabus of PGIMER 2019 exam. The Exam will be held on 16th June 2019 (DM/MCH/MD Courses for July Session) and 13th May 2019 (DM/M.Ch/MHA Courses). The exam is conducted through offline mode. Number of Questions: In the theory examination, a total of 250 questions will be asked. Type of Questions: The question paper will be of multiple-choice questions (MCQs). Exam Duration: The examination will be of three hours. Correct Responses: For each question, one or more of the five options will be correct. Negative Marking: There will be negative marking for incorrect answers. Mode of Exam: The examination will be held in offline mode. Parts: The theory examination will be comprised of a paper with two parts (Part 1: General & Part 2: Specialty), each with 40 marks. Type of Questions: In the examination, multiple choice type questions will be asked. Duration: The examination will be 1 hour 30 minutes. Responses: In Part 1, each question has four options and a single most appropriate response will be correct & in Part 2, each question has five options and single/multiple correct responses will be correct. Marking Scheme: In Part 1, one mark will be given for the correct answer. Negative Marking: There will be no negative marking in Part 1. PGIMER 2019 July Session Admit Card will be Available from 1st week of May 2019 (MD/MS Candidates) & the Available on 1st week of May 2019 (for DM/M.Ch/MHA). Candidates can get PGIMER 2018 admit card through online mode on official portal. No other mode (post or email) will be by sending the admit card. To download the admit cards candidates have to enter their application number, password & security key. The PGIMER 2019 Result will be Declaring on 17th June 2019 for DM/MCh Courses of July Session. Candidates can check their PGIMER 2019 result through online mode. To check the Result candidates have to fill their roll number & date of birth. 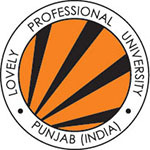 Rank wise & a category wise list will be issued by university those who are selected for counseling. On the basis of percentile scores obtained by the candidates in the theory examination, a merit list will be prepared. After the result declared the PGIMER 2019 Counseling date and details will be issued on the official portal. Counseling will be held in offline mode and it will be in 4 rounds. PGIMER 2019 1st Counseling will be Starting from 14th June 2019 for MD/MS Course of July Session. It will be organized on the university campus. Admission fees are Rs. 2485 which all candidates have to pay for the counseling in cash. In case, candidates will not get the subject of his/her choice in the 1st round counseling, they will attend the 2nd/3rd/4th round of counseling. The print copy of Filled Application Form (Paste Photograph on it). Candidates can solve previous year’s question papers of the PGIMER examination with proper explanation. Through this candidates can know the question which repeats always and exam pattern. Focus on study and try to solve & revise them regularly. Study all topics from the chapter and give more attention to important topics & tough concepts/facts. Give equal time to each subject & section. Candidates can even solve sample papers to score good marks in the examination. Maintain your health also keep yourself fit & healthy. If you have any other queries about PGIMER 2019, you can ask us by leaving your comments in the comment box.